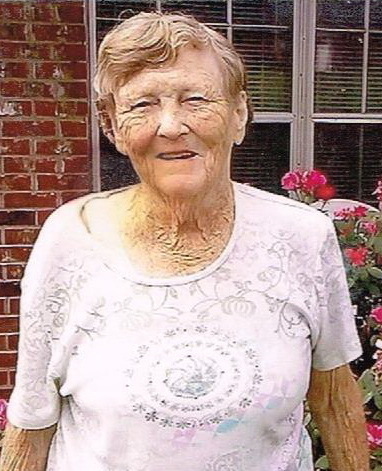 Frances Virginia McGarity, age 81, of Tuscumbia, passed away January 21, 2019. Visitation will be Thursday, January 24, 2019, from 11:00 a.m. – 1:00 p.m. at Spry-Williams Funeral Home. The funeral will follow at 1:00 p.m. in the funeral home chapel. Burial will be at Shoals Memorial Gardens. She was the wife of the late Thomas McGarity. She was also preceded in death by her parents, Oscar and Julie Franks. Survivors include her son, Thomas McGarity; daughter, Elizabeth Morris (Darold); grandchildren, Gary Henson, Brannon McGarity, Makyla McGarity, and Layla McGarity; great-grandchildren, Gary Henson, Jr., Adrianna Colbert, Kayden McGarity and Braden McGarity; and siblings, Joe Franks (Angela), Kenny Franks (Vonda), Roy Franks, Carolyn Franks and Jewell Dean.